If German philosopher Immanuel Kant was anything, it was optimistic. Even though he quickly recognized the potential risks of the 18th century political and intellectual awakening known as the “Enlightenment,” he focused on the positive and worked to steer the movement along a middle philosophical course, away from potentially explosive extremes. Examples of such extremes are easily found among his contemporaries, such as Descartes on one side, and Locke on the other. Descartes was the author of “I think therefore I am,” one of history’s most famous intellectual headlines. By this Descartes meant that it was possible for him to doubt everything about the physical world, except for the fact that he was doubting. As such, he could be sure that he could think, that he was a rational creature and that all other conceptions of the physical world could henceforth stem from this certainty. In contrast, Locke was convinced that feeling and experiencing the world was the only way in which one could come to know it. Kant wanted to leave a place for both experience and reason on the philosophical table. 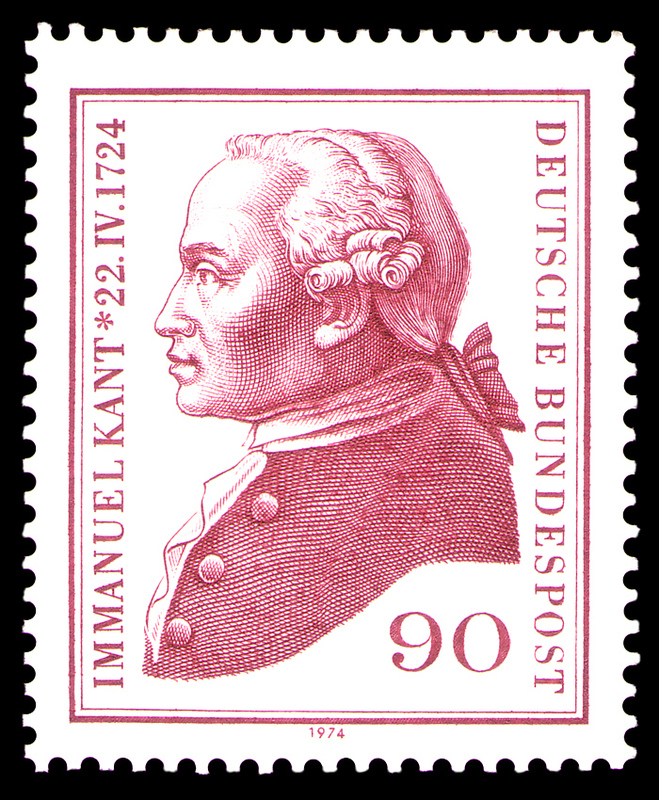 For Kant, the world of reason and of science gained the name of the “phenomenal world” and the world of faith and spirituality became known as the “noumenal world”. According to the German thinker, these two worlds could and should coexist, thereby creating a middle, order-respecting path between the opposing extremes described by Descartes and Locke. By accommodating both ends of the then-current philosophical specter, Kant was no doubt attempting to preclude the aggression that generally erupts from clashing viewpoints. It is important to remember that in 1784, when Kant wrote “What is Enlightenment,” the clergy, denizens of the “noumenal world,” made up one third of all-mighty France’s “Three Estates.” Any philosophy giving intellectual dominance to absolute reason was a de facto banishment of the world of experience or empiricism, which put the Church’s control over the realm of the spirit in very controversial limbo. The problem with Kant’s strategy was that he could only steer a gradual, middle course for the Enlightenment on paper. On the streets, events took place far from Kant’s calm center. 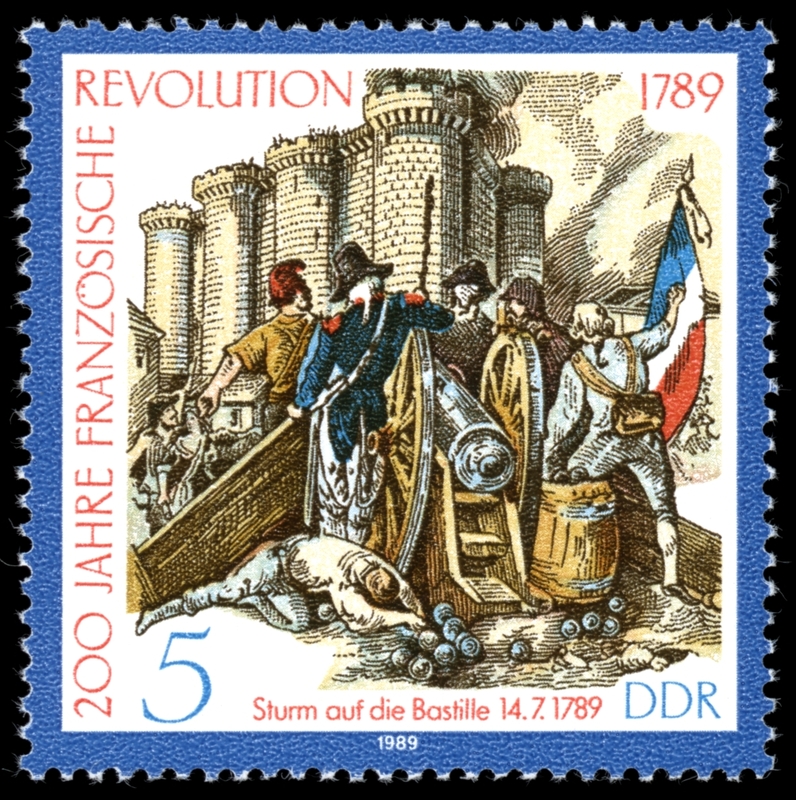 In 1789, five years after “What is Enlightenment” was written, the French Revolution erupted. Then, the Reign of Terror burned Paris and the conquests of Napoleon scorched Europe. In 1815, Emperor Napoleon was replaced with monarchs invented by the counter-conservative, scrambling Congress of Vienna. Not surprisingly, these new monarchs failed. And, all the while, the Industrial Revolution was gaining momentum, and unhappy workers. Other thinkers within earshot of the rousing 1789 battle cry of “Liberté, Egalité, Fraternité” formed different interpretations as to the direction the Enlightenment should take. One such thinker was Karl Marx, who tread a path very much removed from Kant’s middle course. To begin with, Kant shared the view of his teacher, Gerog Hegel, who held that history was based exclusively on reason. For Hegel, history could be summarized as a series of contradicting, opposing forces interacting and then generating a new reality. In order to understand the evolution of history, Hegel created the “dialectical process,” composed of a thesis (an original historical condition), an antithesis (the force generated in opposition to the thesis) and the synthesis (the new order formed from the resolution of thesis and antithesis). Thus, according to Hegel, the past is always present in the future it forms via the current synthesis. Marx agreed with Hegel, but thought that the resolution, the synthesis, of a conflict could and should be sped up by action, or by revolution. He immediately recognized the contradictions present in post-1789 France: equality was championed, but barely visible; the economy was growing, but general wealth was not. Far from Kant’s gradual Enlightenment, Marx favored a lightning change to the social order in order to eradicate rampant inequality. In Marx’s reading of history, it was, surprisingly, the bourgeoisie who activated the working class. An example of this can be found in what Marx called the “beautiful” revolution of 1789. But, alas, beauty here served to hide truth: in 1789 the bourgeoisie only wanted to rouse the workers against the taxing monarchy but had no intentions of granting them true access to wealth and power. In contrast, the July Revolution of 1848, taking place the year of the publication of Marx’s “Communist Manifesto,” was the “Ugly Revolution” because it showed the truth. Here, the guns that the bourgeoisie had gained power over were fired against the workers that had been used to gain those very guns. As Marx described, the idealistic notions of “Liberté, Egalité, Fraternité” were replaced with the infantry, the cavalry and the artillery, now quite nearly in the hands of the increasingly wealthy middle class. At this point in history, a new synthesis emerges: it is the age of the bourgeoisie. 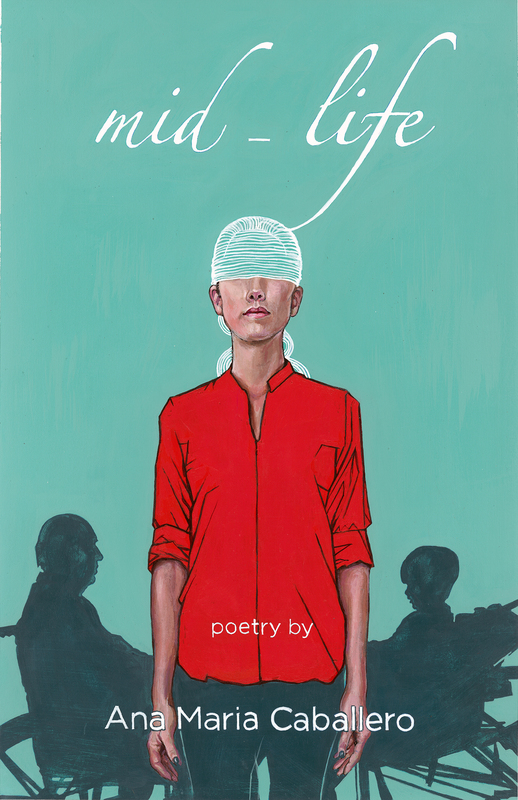 But, of course, a new antithesis also emerges, that of the still unhappy worker and the equally troubling philosophical prospect of middle class ennui. 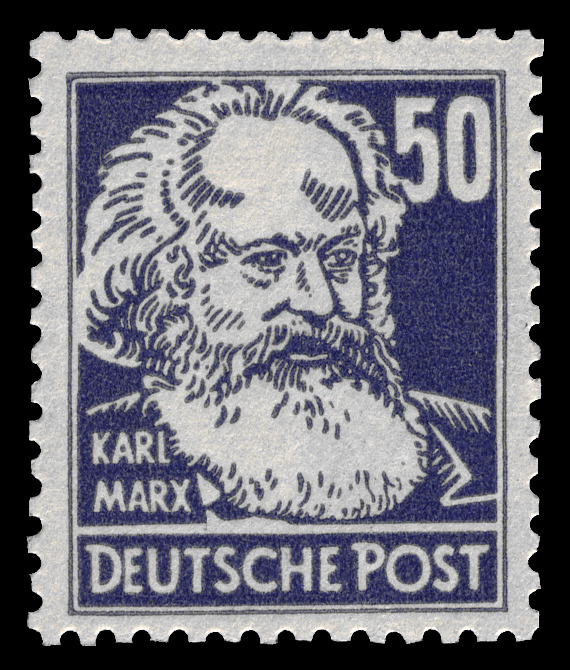 The pictures above are all old German stamps, available on Wiki Commons.